Since 2010, Brooke has provided the highest-quality laser hair reduction services in Tulsa. With a strategic commitment to laser expertise, customer service and affordable pricing, Bare Aesthetics is the preferred choice for hair removal and laser skin care services. 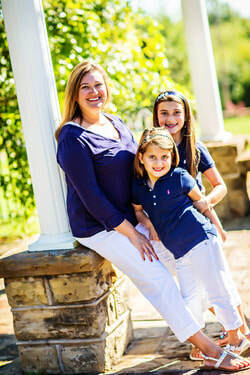 Brooke lives in Tulsa with her husband Larry and daughters Allie and Reese. A flexible schedule allows her to volunteer at her daughters’ schools & attend their events. Let’s be honest – the idea of someone shooting lasers at your skin is a bit intimidating. Brooke began laser hair reduction training in 2010, using the same training source offered to physician's offices across the region. Brooke recently furthered her expertise in 2014, working one-on-one with a trainer from Candela - the world’s leading laser provider - to become a certified laser skin care specialist. Her commitment to ongoing training, combined with her years of experience, provides clients with the comfort of knowing they are in the hands of an expert technician. ﻿Bare Aesthetics uses the Candela GentleLASE Pro system, the gold-standard of la﻿sers. and what you can expect afterward. Bare Aesthetics' business model allows Brooke to provide high-quality services at a low price. While some providers charge a flat fee per area, Bare Aesthetics charges only for the treatment you need. Because everyone's skin, hair follicles, hormones and personal preferences are individual, there is no "one size fits all" for your laser skin care needs. You may only need a few treatments to achieve your goals - or you may need multiple treatments over time. Regardless of your needs, you will only pay a reasonable price for the services you actually need!